Who doesn’t like music? Music is probably the only thing that unites the entire humanity. I wonder if there is anyone in the world who can survive without listening to music. Apple Music is a rich source for Apple books, wonderful music, movies and a lot more. In this article, we are going to introduce you to one of the best platforms where you can listen to all your favorite music as a student and get a lot of educative materials. Apple Music is the name. We are also going to help you with the best guide to get Apple Music students discount. Just be sure to read through. Apple Music for university students came into existence in May 2016. It offers students at credited universities access to unlimited music. Students who have a credited universities access will pay discounted Apple Music student cost of $4.99 per month for a total of four years via the Apple Music student discount plan. The fee is very pocket-friendly. Such students not only enjoy a vast variety of music but also enjoy 50 percent discount when they sign up on the platform. Apple Music student subscription is now available in about thirty-four countries. Confirm if your country is amongst the ones that can access this service. 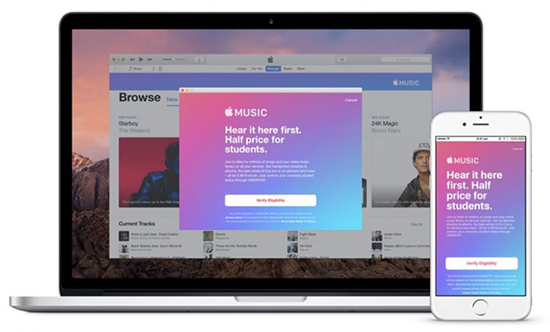 Wondering how to get Apple Music student discount? Worry not, the process is very simple. It doesn’t matter whether you’re already signed up, you can still get the discount if you’re enrolled into a verified university. 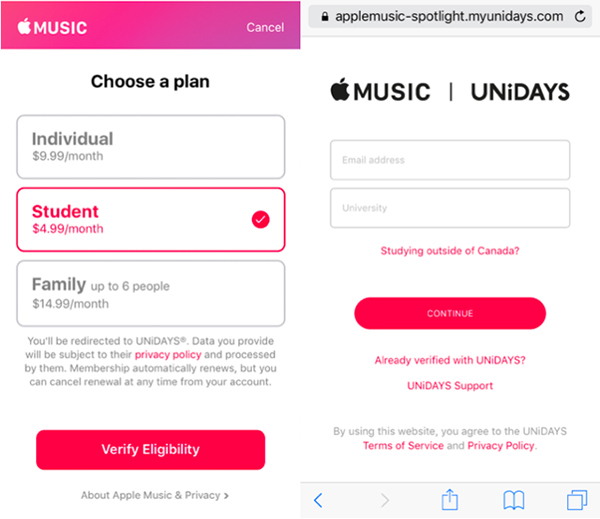 Those who join the Apple Music as students have to undergo the Apple Music student discount verification process by, the student validation services and UNiDAYS, they confirm if you're really enrolled into any degree-granting university or college. UNiDAYS plays a very important role in re-validating your student status periodically. If they find out that you are not a student anymore or if you have a full subscription for four years (48 months), then your subscription will automatically change to Apple Music individual subscription. If you had already subscribed for Apple Music before you still have the option of changing to student subscription and enjoy the fifty percent discount. You can make the changes either in the iTunes on your PC, or Music app in the Android device. If you had subscribed to individual Apple Music your student subscription will not be effected immediately until the depletion of your current billing. This means you can only roll for student’s subscription once the renewal date has reached after the current subscription becomes obsolete. If you are part of family in the sharing group and then you transform to student subscription, your family group shall be billed from both student and family subscription. But in case you happen to be the organizer of that family group and then you decide to change to student subscription, all other family members will lose their accessibility to the Apple Music. When your group members try to sign it, they will be directed to join as a person but if you retain the position of the family organizer and also subscribe to student subscription you will be billed for family sharing group’s purchase subscriptions included. To qualify for the discount membership, you need to enroll into a college or degree-granting university or through UNiDAYS validation service. Before you sign up for Apple Music student discount you need update the iOS of your phone, iPod touch or iPad and get the latest iTunes on your PC or Mac. If you're using Android, update it to Android 4.3 or later. 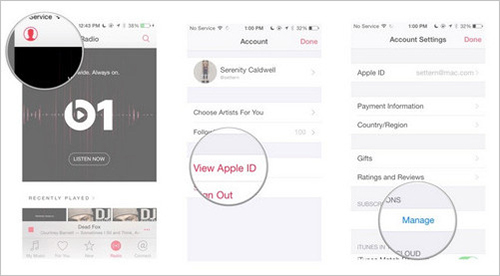 Signing up for Apple Music student membership is a very simple process though it varies from one device to another. Step 1. Download and install music app in your phone or launch the app in your iPad, iPhone or open it on your Mac or PC. Step 2. A subscription offer will appear on your iOS device if it does not appear automatically tap for the icon with “for you” it’s located atthe bottom of the screen or click for you at the top of iTunes windows. Step 3. Click or tap on the three-month trial offer. Step 4. Select university student or college student subscription. Step 5. Click on the verify eligibility. Step 6. Enter academic/personal email address and search for the name of your institution. If you already have an account with UNiDAYS, click on verified by with UNiDAYS. If studying abroad, click the name of the institution then change the country or region. Step 7. Log into your institution’s portal. Step 8. You’ll be redirected to iTunes to finish the joining process after you have beenverified as a student. Step 9. Validate the billing information and add a valid payment method then click on ‘join’. Step 1. Log into your Apple Music account and open the account info. Step 2. Search for your subscription on the account under settings. It’s located towards the bottom. Click on the ‘manage’ on the right. Step 3. Under the renewal options, you’ll see whether your current subscription is family or individual plan. Under the current plan, you'll see a link ‘student one-month verification required' and click on it. Step 4. Verify your student eligibility through UNiDAYS then enter your personal information and the qualified education institutioninformation. Step 5. Confirm from iTunes account that your subscription is now student plan at a discount of 50%. Step 1. Download and install this smart Apple Music DRM Converter on your Mac or Windows computer. Step 2. Import the downloaded DRM-protected Apple Music to DRmare by clicking the ‘Add Files’ button or dragging and dropping audio files to this software. Step 3. Click the ‘audio’ icon to set the output format as MP3 and customize other audio parameters, like bit rate, sample rate, etc. Step 4. Now, you just need to hit on the ‘Convert’ button and then this tool will remove the DRM and convert Apple Music M4P to MP3, and then you can get Apple Music free forever. Anybody working in an educational environment can also qualify for the discount if they are using Apple computers. This means there is no limitation to some few individuals like students, teachers, lecturers but even the administrative workers can also enjoy.